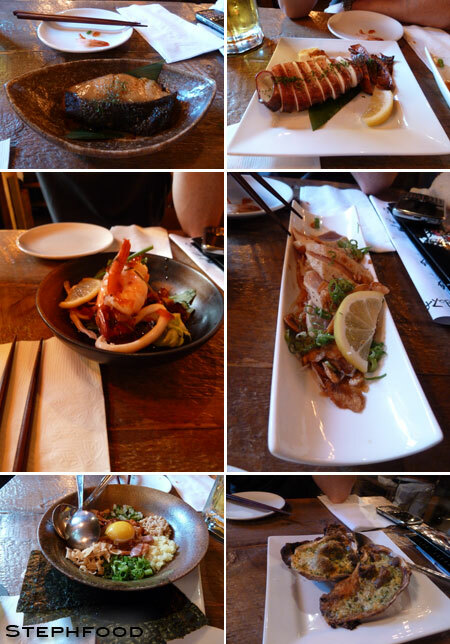 Recently, we visited Guu Izakaya restaurant in Toronto. It opened a while ago, and I’d walk by and wonder what it was. To be honest, I could not for the life of me read the name on the sign (it’s in a handwritten font, so pretty hard to read). 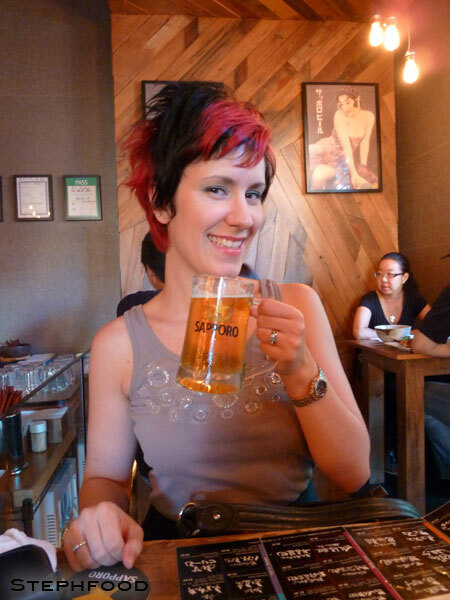 I didn’t know what an Izakaya was, either, until some girl friends that had been to Japan explained it to me. Izakaya is kind of like a Japanese pub, where you eat small plates (kind of like mezze or tapas) and drink. This place is pretty popular, with a line out the door most nights. On the night that we went, the line wasn’t too bad so we decided to try it out. They yell stuff at you when you walk in the door. I have no idea what they’re saying, but they say it with a smile so I think it’s something nice. From top left: Gindara (black cod), Ikamaru (grilled squid), seafood ceviche, Maguro Tataki (seared tuna), Salmon Natto Yukke (salmon sashimi with seven friends), Kakimayo (grilled oysters with spinach, mayo and cheese). 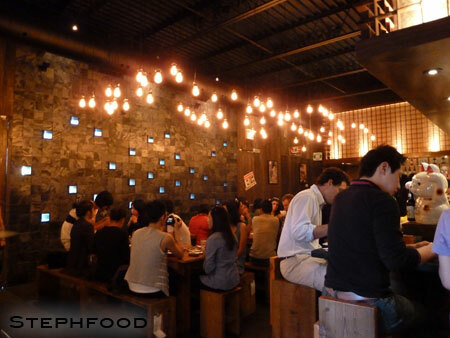 There were many many fun sounding dishes, so we picked some, ordered beer and enjoyed ourselves. Our favourite ones are pictured above. I don’t recommend getting the trio of coloured, flavoured sake shots. It was cute, but a little too gimmicky. I should have known better. Overall, we really enjoyed ourselves. The energy in the room is incredible, and the food was really tasty. We tried to go back, but there was a 2-hour wait… hm, better luck next time! Enjoying my drink. Good to see they passed inspection.